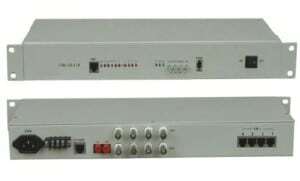 The AN-205-X3X1 is an Optical fiber switch that offers 5 port 10/100Base-FX. Supports STORE AND FORWARD switching. The AN-205-X3X1 is an Optical fiber switch that offers 5 port 10/100Base-FX. It supports both Single optical fiber and dual optical fiber, its transmission distance ranges from 2km to 120km. This optical fiber switch works under both Half-duplex and full-duplex modes. It supports the STAR network topology and it is an ideal option for fiber to home (Ftth) optical fiber solution, city optical fiber networks,etc. I have no doubt about buying ad-net product as long as I get positive response to clarifications I raised about my design and the product I intend making use among AD-NET series. Reliability of installed units and extremely low failure rate, in fact I have never experienced a failed units among the ones installed two years ago and even the ones installed 8-10months have been performing as expected. Like for example for the E1 converters it’s the reliability, but the product can move further if it can be designed to be IP based for management purposes. By experience I know AD-NET product is as good as buy, install and sleep as long as it fits the design for which its procured. I am in the business of spreading the good news of AD-NET reliability and effectiveness where others fail or might fail. Before I ordered products my most concern was quality of the product, not sure whether it will be able to work in our current network. But as a result quality product as opposed to what we have expected and the device is up to standard. What I like most is video transmission over single-strand fibre, cost saving solution. I would like to mention also prompt reply from sales staff. Overall, I had a great experience dealing with AD-net. They are very prompt in reply and the delivery schedule of the equipment is fast. I had no concern, was buying and testing, so equipment is ok. So equipment and logistic is ok, we keep ordering and making business. We are a Calling Card (VoIP) Service Provider. We serve corporate customers, some customers uses FO-link to connect the gateway in their site to our server site. 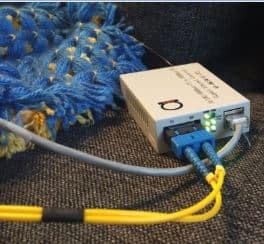 In some cases we need to have Ethernet connection between 2 locations, with the distance of 2 location more then 100 m. So, we were considering to use your product to solve it. This device only need twisted pair cable, quite easy to find it, and the features is fulfill our need. Basically we would recommend it to others, but we need more experiences to use this device. We are searching product top extend existing analog video network. Adding new cables for IP camera is very expensive and we would like to find new solution to reuse existing cables. In the future we will use IP over coax but right now we have to work with both (analog & IP camera). Your product correspond to our needs. Just a question – when POE will be available over the existing RJ45 interface? Easy to install, cost effective, as a result w are trying to find French company interesting by this product to install-it on our network. Our main concern before we placed order was if it will work, and if the power supply will be able to cope with unstable generator power. Also high temperature and humidity which is a problem in Liberia. I find that the product does what is says, and I am very happy thus far, we had instances where power supplies on the LAN extender did blow unfortunately, we use the LAN extenders to feed our remoter sites of 3 to 5 machines, and it seems to work fine as a “Link”, not just a single machine device. It is plug and play, no complex configurations is needed, thus making it a reliable fast temporary link when we have fibre breakages or fibre module failures. Robust and like I said, very simple and easy to implement. Yes I would recommend it to others, especially for remote offices where there is existing telephone cable infrastructure, also a cheaper solution to Fibre links for less than 5 machines, so in the long run a big saving not having to have fibre equipment, cables and splicing. We generally shy away from buying products from Asian market due to inferior quality, finish, reliability, technical support, poorly prepared manuals, problems in interacting with engineers who have poor English knowledge etc. We also know that most of the Western (Europe and US) products are manufactured in the Asian market and rebranded. However western companies ensure all the above listed concerns are addressed before selling to the market. However I must say that AD-NET products are reasonably acceptable. The products are of acceptable quality, finish and reliability. We also would like to mention, that your product technical support is appreciable. Our main concern, before order the products, it was the fact that we are on the opposite side of the globe. In case of mail function of products and long shipment time. However, that it isn’t a problem due to no mail functions so far and quick shipment when buying. For the video over fiber transmitter the best it is the simplicity of the product, easy to install, only one fiber to send 16 bidirectional video and the price. I would like also mention good response , easy to get information and a impressive amount of products, so we would recommend products to others. Opposite side of the globe? Our main concern before ordering products was the stability and the efficiency especially with the high temperature. So far, it is very good, very stable. Easy to configure – it is straightforward and very light. We 100 % recommend it to others. Before place the orders, our main concern was if those really are reliable enough products for our customers. As a result we found, that there is no customer complaint. In my memory, most preferable feature for the products are it’s management system Another special benefits about those products are for the media converters being able to use as standalone or chassis type same time We will definitely recommend AD-net products to other. Great experience – units worked straight out of the box – just needed plug in cables and we were done. I also like the possibility to enable jumbo frames, while we do not have a need for this feature at the current moment it’s great to have this option. I needed those to connect my PC on the third floor to have internet access in that room, and ISP installed their modem on the first floor only. After dropping fiber patch cables, plugged in all cables into these media converters at both sides, and link came up instantly. Was much easier than I thought! Attendant, Automated Attendant or IVR? Stay in touch via e-mail newsletter!